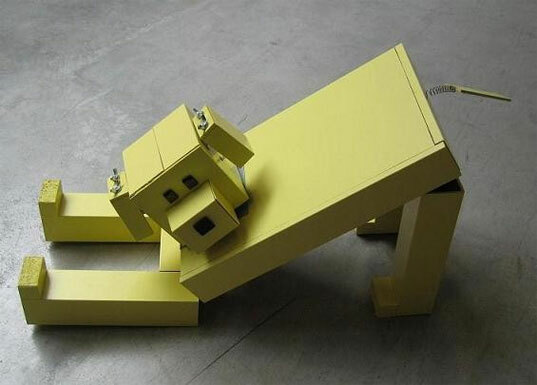 Although IKEA’s Lack Table is the foundation of designer Alexis Liu’s ‘Lack Dog,’ her transforming canine furniture creation lacks nothing in way of ingenuity, originality and fun. Created as an entry piece for a recent designboom contest, Liu converted IKEA’s unassuming table into a replica of her beloved pet, Noodle. “Like the real thing, this version can sit, stand, lie down, play bow, turn his head, flop his ears, and wag his tail,” says Liu of her entry. ‘Lack Dog’ is currently a concept piece, but if the designer works on a model that can convert from table to canine and back again, we see it being top dog in the children’s furniture market. 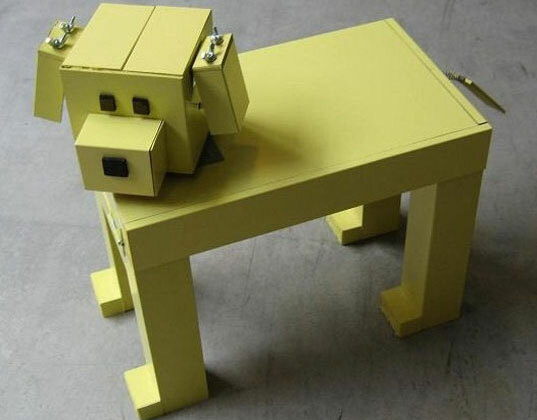 Although IKEA's Lack Table is the foundation of designer Alexis Liu's 'Lack Dog,' her transforming canine furniture creation lacks nothing in way of ingenuity, originality and fun. Created as an entry piece for a recent designboom contest, Liu converted IKEA's unassuming table into a replica of her beloved pet, Noodle. �Like the real thing, this version can sit, stand, lie down, play bow, turn his head, flop his ears, and wag his tail,� says Liu of her entry. 'Lack Dog' is currently a concept piece, but if the designer works on a model that can convert from table to canine and back again, we see it being top dog in the children's furniture market.